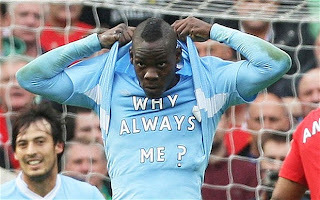 Mario Barwuah Balotelli was born Mario Barwuah; 12 August 1990. He is an Italian professional footballer who plays as a striker for Milan and the Italian national team. He started his professional football career at Lumezzane and played for the first team twice before having an unsuccessful trial at FC Barcelona, and subsequently joining Internazionale in 2007. 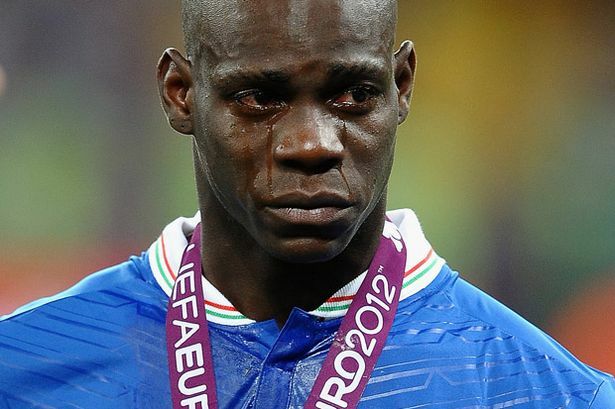 Inter manager Roberto Mancini brought Balotelli into the first team, but when Mancini left, Balotelli's disciplinary record fell away. He had a strained relationship with new head coach José Mourinho and was suspended from Inter's first team in January 2009 after a number of disciplinary problems. In March 2010, he came under criticism by Inter fans after he appeared on the Italian TV show Striscia la notizia, wearing an A.C. Milan jersey. This damaged the prospect of him having a long career at Inter, but he did make several appearances after that. 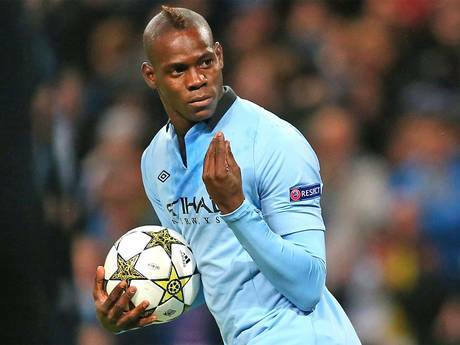 With doubts over his career at Inter, former coach Roberto Mancini had since moved to Manchester City and decided to give Balotelli a fresh chance at a new club. He joined Manchester City in August 2010, where his performances and off-field activities continued to be enigmatic and unpredictable. Nicknamed Super Mario, he earned his first cap for the Italian national team on 10 August 2010 in a friendly match against the Côte d'Ivoire. In 1993, the Barwuah family agreed to entrust the three-year-old boy to an Italian foster family, the Balotellis. At first, he stayed at the Balotellis during the weekdays, and returned to his biological parents on weekends, but after a while it was arranged for him to be permanently fostered by the Balotellis. His foster parents, Silvia and Francesco Balotelli, who have Jewish Italian heritage, lived in a large house in the affluent village of Concesio, Brescia. When Mario Balotelli became famous, his biological parents asked for his return. He later accused them of "glory hunting", stating that they only wanted him back because of the prominence he had gained. 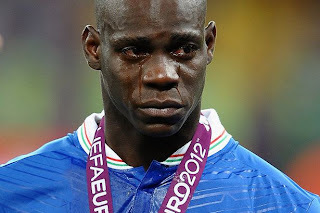 According to Law 91 of 5 February 1992, Balotelli had to wait until his 18th birthday to request Italian citizenship, as the Balotellis had not adopted him.